One lazy Sunday afternoon, I was so bored that I decided to clean out my little jewellery box and rearrange all the old rings that I didn't like anymore. 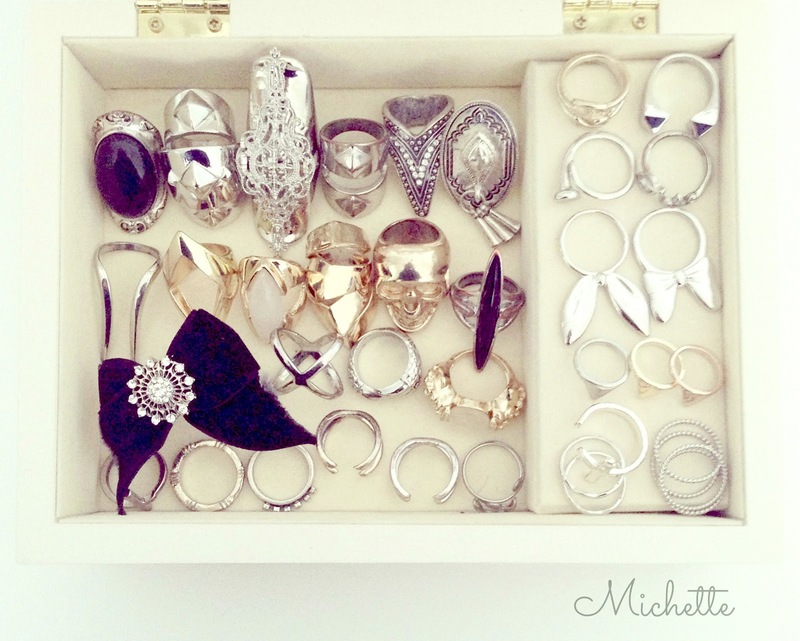 I have so many different jewellery 'boxes' because I own about a thousand rings. I have this crazy fascination with them and so every time I went out I couldn't resist buying one to add to my ever growing collection. But the bad thing is that my fingers are so tiny so half the time the rings don't fit but I'll still force myself to buy them because I want to take them home haha. So because of that, I always tend to lose rings as they fall off my fingers so easily! They should learn to make smaller sized rings! These days I tend to buy less because there's no point if they're just gonna fall off! 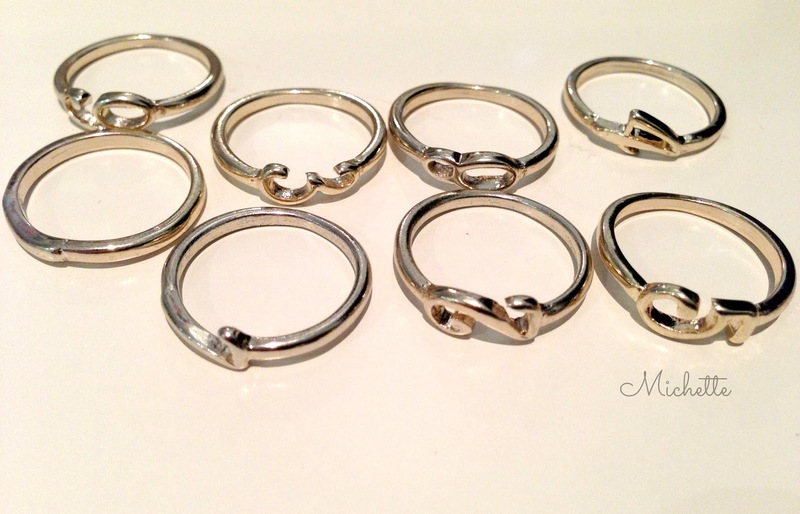 My latest obsession with rings would have to be stacking rings and fingertip rings. I recently bought a stack of numbered rings which you can wear any way you like so I've been mixing it up and wearing different numbers all the time depending on how I feel. They're just really cool and adds a personal touch to any outfit. What are your favourite rings at the moment? I'm loving those stacking rings and mid finger ones too because you can wear however many or little as you like. You have a seriously envious collection! hi michelle, thank u for stopping by my blog. i'm using canon 1100D and the setting i used for most of the photos in my latest post is f1.4 & ISO400. Oh yes, rings are great to wear, I'm really liking the rings that are thin and simple at the moment! Lot of amazing rings babes! WOW great post girls and I love this blog..
Ooooh I love all of them!! Followed back <3 172 beauties! Generally I love statement rings but I also like plain ones in all shades of gold and silver. obsessed! with rings and loving my new thumb ring so much! WOOW! look at those shiny lil things!!!!! Love your blog and post. Great fashion and ideas. Love themmm. I love sitting at my jewelry box and cleaning out.